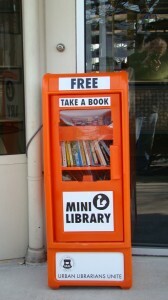 Urban Librarians Unite is pleased to announce its own small network of little libraries. These bright orange newspaper boxes have been set up outside of library branches in Brooklyn and Queens closed due to damage from Hurricane Sandy. These tiny, all-weather libraries house about a hundred books each at a time and there is no expectation whatsoever that the books need to come back. 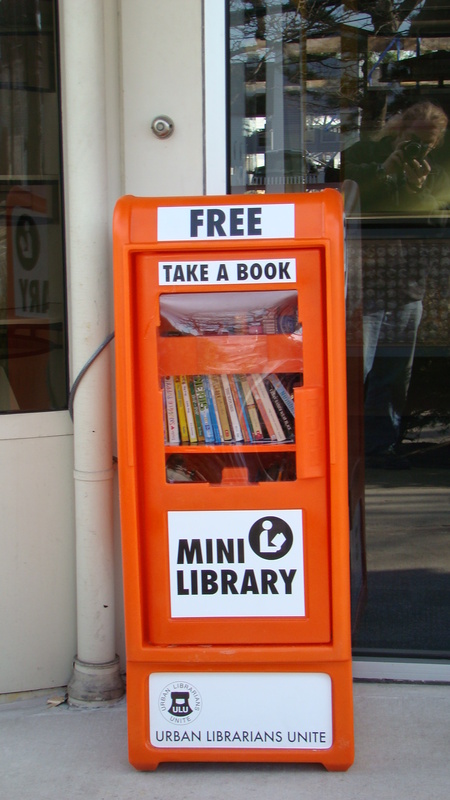 These Mini Libraries are a great way to get reading materials out to those who are still recovering from the storm. It is still an utter mess out there and a lot of people are still struggling. These books are a tiny spark of entertainment, they provide some distraction, and they remind people that the library has not forgotten them or their community. Our Children’s Book Campaign has been wildly successful and we have thousands of books to distribute. These little libraries are a direct pipeline to the public, a way of putting books right into their hands.